1) Click "Start", in the "Run" edition box, enters "services.msc", and press Enter key. 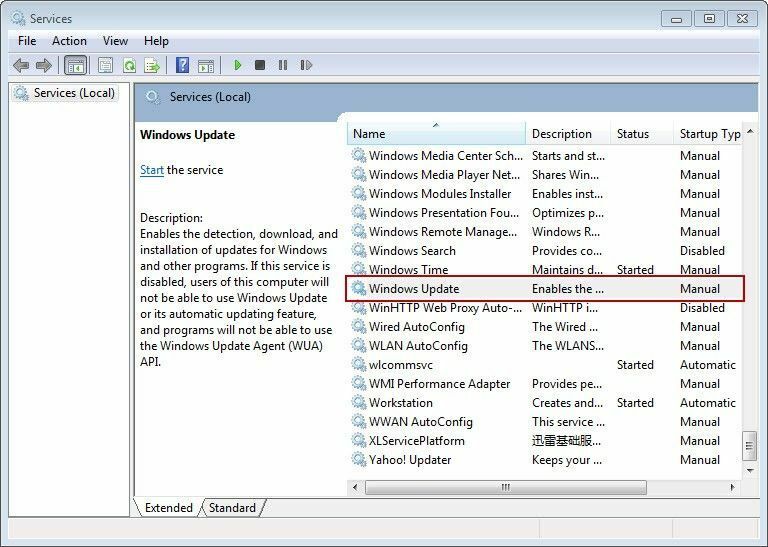 2) In the pop-up "Services" window, double-click "Windows Update" service (Figure 1‑1). 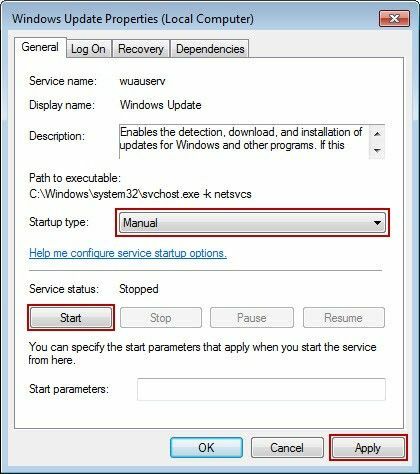 3) It will pop-up "Windows Update Properties" dialogue box, in the "Startup type" combo box, select "Manual", then click "Apply" button; Then click "start" button, start the service (Figure 1‑2). 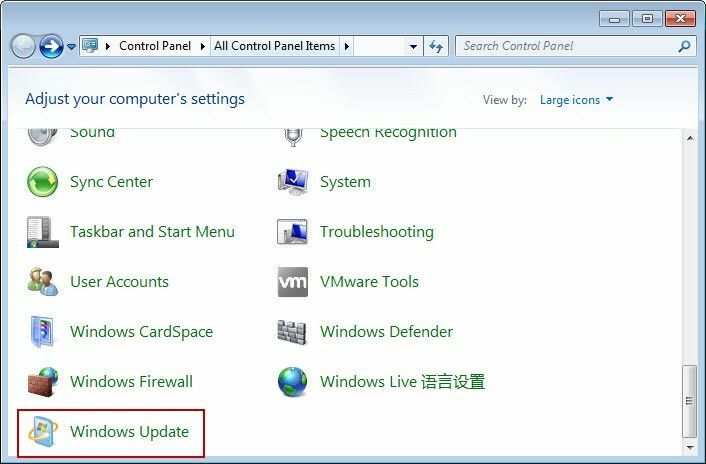 4) Click "Start" -> "Control Panel" -> "Windows Update", check for updates, and install the update (Figure 1‑3).